World Poetry Celebrates Film Director Jill Carter! Ariadne’s Notes: The World Poetry Café radio show was honoured to have the Canadian firm director, Jill Carter call into the show at 1:20 PM, PST. She told us about her new exciting show which Jill recently completed by directing half the season, including the pilot episode, of the soon to be launched CityTV drama ‘THE MURDER’S’ staring Jessica Lucas (Gotham) on Monday nights, at 9 PM. It was really exciting to talk to a woman director and learn about the art of directing. A young woman from Scotland sent a question about directing and Jill kindly answered her. I would like to thank our wonderful guests who answer questions from young people all over the world. URGENT! Our World Poetry Café Radio show needs members and donations. We are starting our Spring Fundraiser and need to come up with enough memberships and donations to meet our $1,500 dollar quota, To make a donation, please go to www.coopradio.org and click on the membership and donations link. 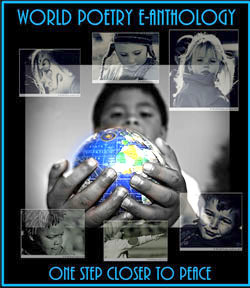 Please put in the name of the World Poetry Café so that your donation will be credited to our account. Each new or returning member, will be given at least one interview in the year and our grateful thanks. Please let us know for we can send you a thank you. We have been on the air for 21 years and have 121 countries that have listened in. We welcome poets, musicians, writers, directors, film people, volunteers, actors and more. Director Jill Carter was born in Saint John, New Brunswick, and has an extensive background as a script supervisor along with a keen interest in all forms of the arts. She is interested in uniting people of all ages through thoughtful universal experiences. LARRY (2011), which was nominated for a Directors Guild of Canada Award. THE BEAST, CBC’s MURDOCH MYSTERIES, Global’s PRIVATE EYES and BET’s ‘INCONTEMPT’. SPIRAL, a web-series Jill directed in 2017 was nominated for 5 Vancouver Web Fest awards, including best drama. Jill recently completed directing half the season, including the pilot episode, of the soon to be launched CityTV drama ‘THE MURDER’S’ staring Jessica Lucas (Gotham). Festival TIFF STUDIO. Jill has a number of film and television Synopsis: Rookie Homicide Detective Kate Jameson (Jessica Lucas) is the biracial daughter of an ambitious and well-loved mother, and her dearly departed father who was a decorated Vancouver police officer killed in the line of duty. With the fight for justice deeply rooted in her, Kate’s only desire is to be a good cop like her father. She’s determined to make her mark in Homicide, the MPD’s most coveted assignment. The Murders is a stylish police procedural with a killer soundtrack, starring Jessica Lucas (Gotham), Dylan Bruce (Orphan Black), Terry Chen (Jessica Jones), and Luvia Peterson (Ghost Wars). She has projects in various stages. Source : Tamar Gibbert with thanks. This entry was posted in General and tagged Author Sharon Rowe, International Peace Award Ariadne Sawyer, Jill Carter, Tamar Gibbert, Victor Schwartzman on April 1, 2019 by Ariadne.